Daniel Pollak is a Trial Attorney for the Environment and Natural Resources Division of the US Department of Justice in Washington, DC. 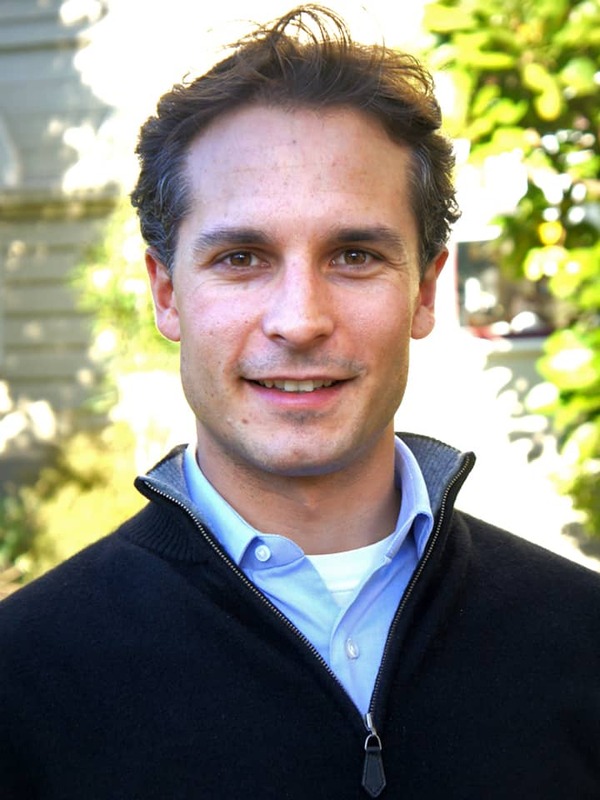 Prior to becoming an attorney, Daniel was an environmental and natural resources public policy researcher for the California Research Bureau, where he authored studies on biodiversity conservation, land use, energy policy and other topics for the California Legislature. He holds a law degree and a BA in philosophy from UC Berkeley, and a Masters of Science in ecology from UC Davis. From 2008-2009 he was a law clerk for Walter Carpeneti, Chief Justice of the Alaska State Supreme Court. During Daniel’s Ian Axford Fellowship exchange to New Zealand he was based at the Ministry of Agriculture and Forestry in Wellington, where he researched New Zealand’s development of new policies on the use of genetically modified organisms (GMOs). In 2000, the Government of New Zealand appointed an independent Royal Commission on Genetic Modification to preside over an ambitious 15-month inquiry into genetic modification (GM). The Royal Commission heard testimony from hundreds of interest groups and experts, as well as the views of thousands of members of the general public. The Government embraced the Royal Commission’s recommendation that New Zealand “keep its options open,” neither rejecting genetically modified organisms (GMOs) nor neglecting to manage their risks appropriately. While this might sound like a prudent middle course, it has proven to be very controversial because many had hoped the Royal Commission would put the brakes on the use of GMOs in food or the environment. According to some, allowing the release of GMOs into the environment will be a precipitous blunder that will subject New Zealand to unwarranted environmental, health, economic, and other risks. Others say it is necessary in order to keep New Zealand internationally competitive in agriculture and other biology-based industries, and also to encourage the continued growth of its scientific and technological capacities. In this report I assess the strengths and limitations of the Royal Commission on Genetic Modification and its effectiveness as a public participation process. I also review the policies that are being developed to manage releases of GMOs, particularly with respect to environmental risk assessment and crop co-existence. The Royal Commission’s work supports a number of observations and conclusions about public participation. Among other things, it demonstrated the usefulness of having several mutually enforcing streams of public consultation, and of making efforts to overcome cultural, temporal and geographic barriers to foster wide participation. The Royal Commission’s conclusions departed significantly from the anti-GM views held by the majority of the general public. What, then, was accomplished by consulting the public? The Royal Commission process helped to stimulate a debate that likely enhanced public understanding. Although many disagree with the current direction of policy, the Royal Commission’s report clearly helped the Government to shape policies that acknowledge and reflect many areas of public concern. The Royal Commission proved very useful politically to the Government in terms of channelling a highly charged political debate into a neutral forum. The Government’s ability to carry out controversial policy changes has been greatly strengthened by the fact that an independent panel conducted such an inclusive, in-depth public debate beforehand. The credibility of the Commission’s conclusions was enhanced by the fact that opponents of GM had a say in its establishment, and that the process ran without any Government interference. There are many difficult challenges as New Zealand develops new policies and rules to regulate and manage environmental releases of GMOs. The Environmental Risk Management Authority (ERMA) must perform environmental risk and cost-benefit assessments that take into account diverse factors, ranging from the physical and ecological effects to economic and cultural considerations. Many of these factors are difficult to quantify or compare, and there are unanswered questions about the methods and criteria that will be used. ERMA is under conflicting pressures – for example, to make its risk assessments broader, yet avoid being too risk-averse. If ERMA does not adopt clear guidelines, it may be accused of being arbitrary or lax in its oversight. On the other hand, if it tries to resolve too many questions in advance, the process may become too rule-bound and inflexible. Another challenge to managing environmental risks is the co-ordination between ERMA, the decision-making body, and the Ministry for Agriculture and Forestry (MAF), the enforcement agency. Recent reviews have noted problems in co-ordination of crisis response and enforcement of monitoring requirements. There is a need to clarify areas of authority and lines of accountability between these two agencies. Another challenging area of regulation will be managing co-existence between GM and non-GM agricultural production systems. Organic farmers and much of the public want to enforce a zero-tolerance policy with respect to the mixing of GM and non-GM products and crops. Yet in some cases some low levels of mixing or cross-pollination may be unavoidable. There are economic reasons to worry about co-existence. Organic certification standards do not tolerate the use or presence of GM contamination. Many export markets are resistant to GM products, and there are concerns about possible impacts on New Zealand’s overseas brand image should GMOs be used. It remains an open question who will pay the costs of measures to enforce separation between GM and non-GM crops. Strict controls will be particularly important when the GM crop in question has not been approved for human consumption – for example, some GM crops may be used to manufacture pharmaceutical compounds. GM contamination of seed imports is likely to occur, raising questions about the interface between two laws – the Biosecurity Act and the Hazardous Substances and New Organisms (HSNO) Act. The legal status of GM plants accidentally imported and grown falls into a legal grey area. Legal changes may be needed to harmonise the two laws. New Zealand is providing a good deal of public funding for research into the effects of GMOs, which could help to address some of the many uncertainties raised by GMOs. A continuous dialogue will be needed between those making funding decisions, the scientists, and regulatory agencies to ensure that the research agenda meshes with the questions faced by the policy and regulatory systems. From a scientific point of view, the risks posed by GMOs are often not very different from the risks posed by other kinds of new organisms. However, GMOs currently demand a great deal of attention due to high public interest, raising the question about how these issues should be balanced against other priorities. The first application for release of a GMO will offer an interesting test of the new regulatory system. The Royal Commission concluded that the first release of a GMO would be too momentous a decision to be decided by the regulatory system, and should be a high-level political judgement made by the Minister for the Environment. It does not appear likely that the Government will follow this recommendation.